The offensive No.6 was made of a steel can with rounded top and base. It's filling was 370gram Tolite or 214gram Amatol 80/20. 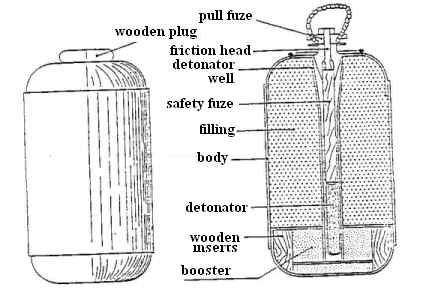 A pull-friction fuze on top fired the delay. The body had "LIGHT" stencilled on the side.